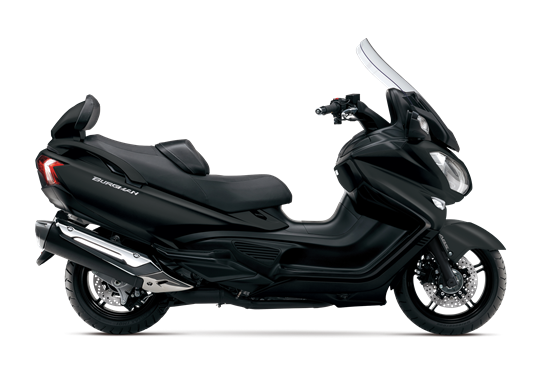 The Burgman 650 ABS* Executive provides you with outstanding performance through an advanced transmission with two fully automatic modes (Drive and Power) plus optional manual shifting. This urban smart scooter is equipped with spacious ergonomics, smooth suspension, a plush seat with adjustable lumbar support, ample storage compartments, and an aerodynamically designed remotely adjustable windscreen. Additional amenities only available on the 2016 Executive model include heated grips for the rider, a supportive backrest for the passenger, and a heated seat for both the rider and the passenger.